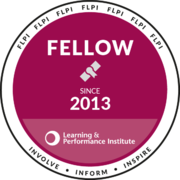 One of the benefits of being part of a wider L&D community is the opportunity to talk through different aspects of our profession with so many different people. I had a great conversation with David Goddin yesterday and we chewed the fat about a lot of different topics, including L&D as shopkeepers. Effectively, that means you can pick anything up from a spark plug to a beaded car seat cover, a new radio to a pressure hose. Luckily, they also do wiper blades. So I meandered in with my son and we set about finding the right set of blades. Up and down the aisles we eventually located the right set – I was too proud to ask someone for help in locating the specific type we needed. Halfords also recognise that people might not be able to change the wiper blades themselves and offer a service when they can fit them for you for a nominal cost of £1.99 ($3 US, $4 AUS). Again, I’m too proud to need to ask someone to help me do it so bought the new blades, brought them home and fitted them perfectly well in a few seconds, thereby saving a few quid. So, what’s this to do with L&D? Some people need to be told their wipers are smearing and not fit for purpose. 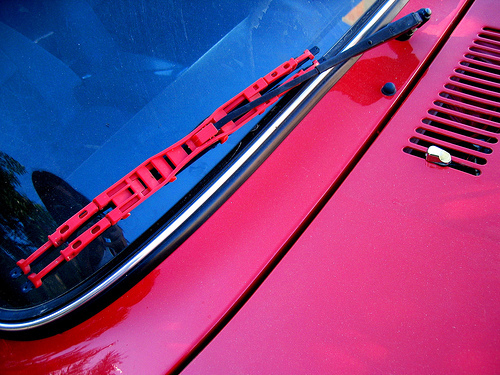 This is a compliance issue – is the issue the wipers or their being left to fall into a state of disrepair? Some people need help to find the right wipers. helping them choose a budget range or a high performance wiper will be based on cost, value and the vehicle the wiper is being fitted for. Some people need help in having their wiper fitted. They’ll happily pay a bit more to have more done for them. They will, however, expect better service. Some people like my son would be novices to the experience. They’ll not understand the importance of having an effective wiper, the cost, the repercussions if they’re not changed, etc. What kind of professional are you? Do you just sell wipers, or are you asking people what they want to make their vehicle more efficient, quicker, better looking, etc? Let me know in the comments – dialogue is always better than monologue. It did indeed resonate! The enquiry for me is as much about how you see yourself as it is about how do you see your clients. Are you trying to be Halfords or do you want to be more artisan (my tinkering Dad!) or even more specialist (a mechanic)? Do you see your customers as drivers of cars or are they people, parents, workers…? It’s easy to get stuck only looking at the wiper blades when actually there’s a whole lot else going on that perhaps matters just as much if not more. The challenge is working out the appropriate perspectives and to your point that’s probably what differentiates L&D practitioners today. Good post Andrew and I liked the analogy. I was just reading the book Training Ain’t Performance and it’s about changing the mindset from L&D to Performance – so the solution isn’t just one possibility – it could be a variety where we are expected to ask the questions and then solve it in whatever manner helps the client and their business. So the type of professional we need to be is not just one of the above you mentioned, but one who is aware of all the situations above and be flexible to suit. Oh my goodness… so true. Where I work we are still trying to change the mindset away from ‘Training’. The surprising/disappointing thing is that this is not the mindset of our customers… it’s the mindset of our senior managers.